In a recent blog post, we highlighted the different types of caregivers out there. This time, we thought we’d talk about the people who need the care those caregivers provide. Individuals out there with ID may be unable to properly care for either their basic needs or non-essential needs. They may need a live-in caregiver, a day caregiver or just specific help during certain tasks. Intellectual disabilities can vary from birth (such as some iterations of cerebral palsy) or happen because of an accident later in life. Physical disabilities can make a surprising amount of activities more difficult. For instance, did you know that there are fifty pairs of muscles involved in chewing? Many physical difficulties can be overcome with the right equipment or physical therapy, but sometimes a caregiver does need to step in. Many elderly individuals do just fine on their own for many years. But with old age, illness can often be close at hand and sometimes those illnesses can be more debilitating than they would be for a younger person. The elderly may need someone there who can help with basic needs (such as using the bathroom or help with incontinence products). Or someone who’s just there to make sure they’re safe (not leaving the stove on or wandering). Some caregivers of the elderly are more of a friend than a caregiver, someone to socialize with. Others may have to help with more intensive tasks, like lifting their caree out of bed. All caregivers to these carees should be thanked for all they do. And the cares should be given the respect they deserve as individuals. Here’s a nod of thanks and respect to both. 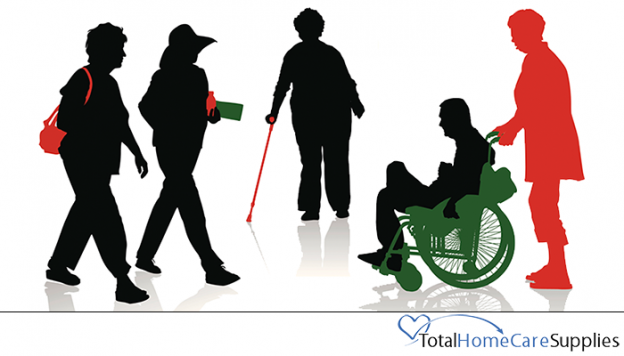 Tags: all types, Caregiver, caregiving, Charge, disabled, incontinence products, incontinence supplies, live-in, those who need caregiving, Total Home Care Supplies, totalhomecaresupplies.com .